Real Estate Marketing FAQ|Which search engine services does INCOM Real Estate offer? What search engine services does INCOM Real Estate offer? At INCOM Web & e-Marketing Solutions we offer search engine optimization (SEO) tools within the back office of your website that are included within our full-feature package. 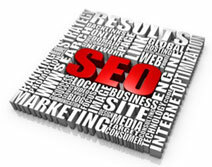 Our tools allow you to build on your SEO and track visitors to tailor marketing strategies. If you are interested in outsourcing your SEO, INCOM will gladly provide comprehensive search engine optimization, pay-per-click advertising and link building services for an additional charge. Click here for a more detailed look at how they can help build your business.